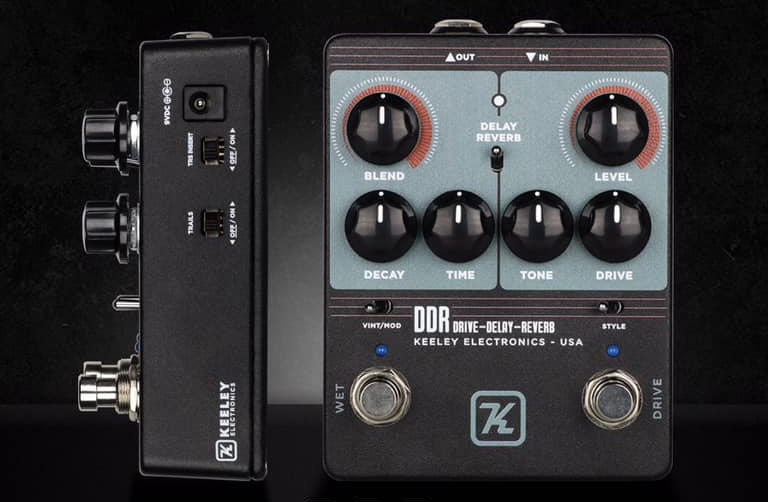 Shortly before ringing in the new year, Keeley Electronics dropped the news that a new pedal range was coming called the X Range. 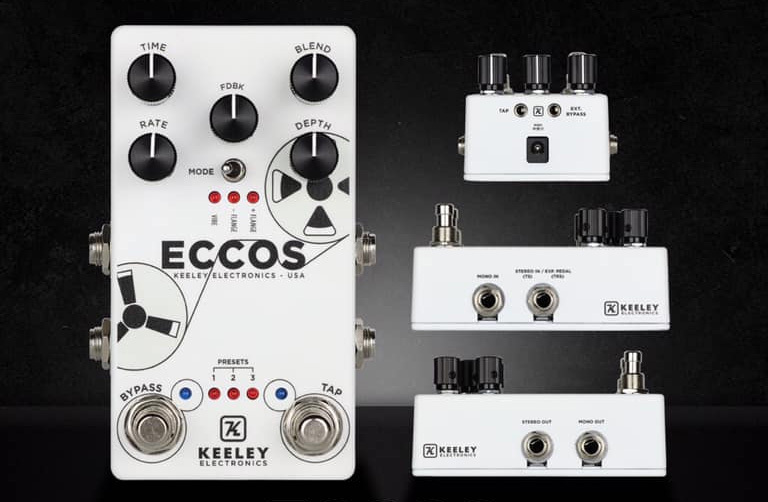 The series features Keeley staples like the Compressor Plus repackaged into prototype-esque chassis with stripped-down designs—a move that Robert Keeley was inspired to make when trying to work out the design for some new pedals he was working on for 2019. Now, with the NAMM show officially underway out in Anaheim, we've had a chance to take a look at those new pedals that inspired the X Range. 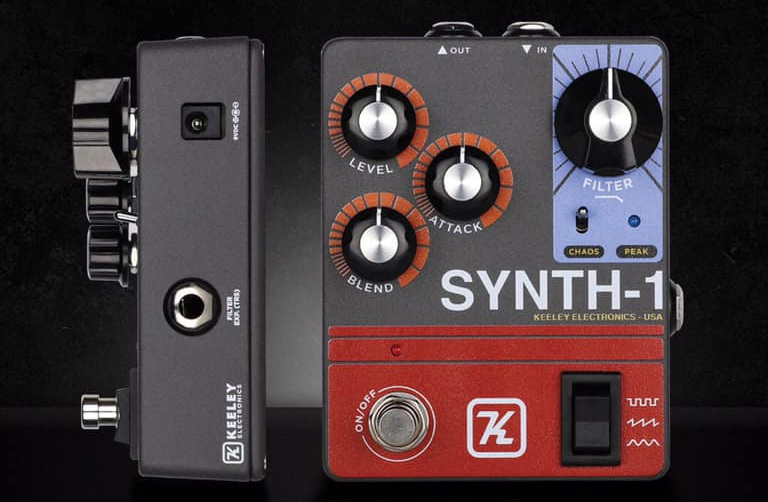 Keeley unveiled four new pedals for the NAMM show this year: a signal-triggering synth wave generator called the Synth-1, the DDR (delay, drive, and reverb), a three-transistor hybrid fuzz called the Fuzz Bender, and a vintage tape-flanged delay called the Eccos. The most straightforward of the bunch is the DDR, which is very true to its name. It features all of the controls you'd imagine it to have—blend, decay, time, tone, drive, and level, as well as a vintage/modern switch for the delay/reverb sound and a delay/reverb selector—and also features a special rich/deep selector switch for toggling between British amp voicings. 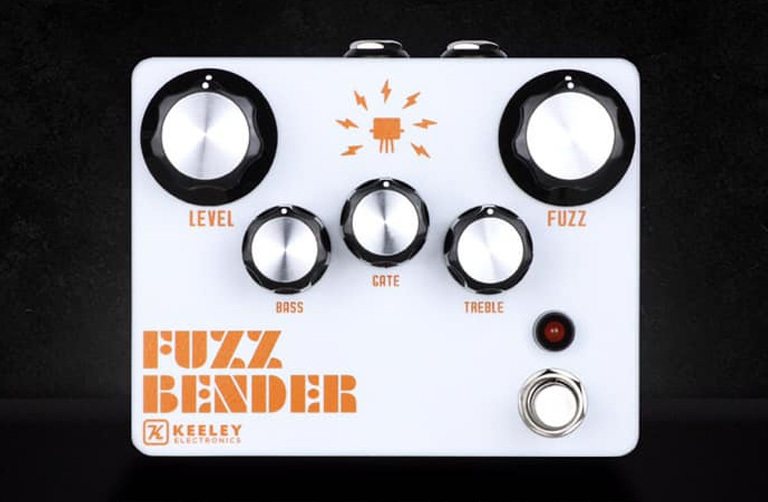 The Fuzz Bender is another rather straightfoward pedal—a five-knob fuzz with a germanium transistor that promises all manner of fuzz tones under the sun, including gated. Perhaps less immediately straightforward is the Synth-1, which Keeley is billing as a "chaos creator." The designers even gave it a special "chaos" control switch for extra craziness, in addition to its parameters for level, attack, blend, and filter. Lastly is the Eccos—a super cool stereo stompbox that simulates the sought-after tones of flanging old tape delays. It features controls for time, rate, blend, depth, and FDBK, and there's also a mode switch for choosing voice width. It's complete with tap-tempo (and can be used with an external expression pedal) and players can choose to leave the trails or bypass them when it switches off. Be sure to follow along with the full video above, and let us know what you think in the comments below. To keep up with our ongoing NAMM coverage, click the orange banner below.